Health and safety needs to be the highest priority for every employer, especially when it comes to environments where food is prepared. 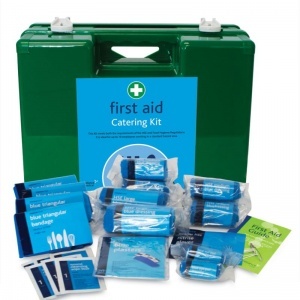 The Basic HSE Catering First Aid Kit in Executive Box provides businesses with the basic first aid provisions they need. The Executive range of catering kits offer the best of quality design and construction. The tough Milano cases come with shatter-proof plastic internal dividers and brackets for easy wall mounting. 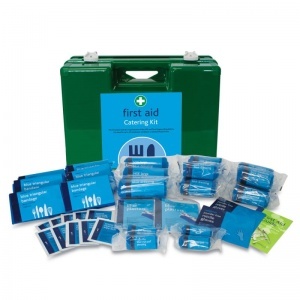 The all blue first aid materials meet the standards according to the Approved Code of Practice 1997. 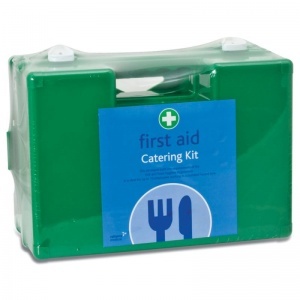 What Is Included in the HSE Catering Kits? 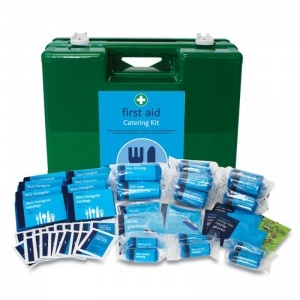 The Basic HSE Catering First Aid Kit in Executive Box is usually dispatched via First Class Royal Mail and delivery should be within 1 to 3 working days.